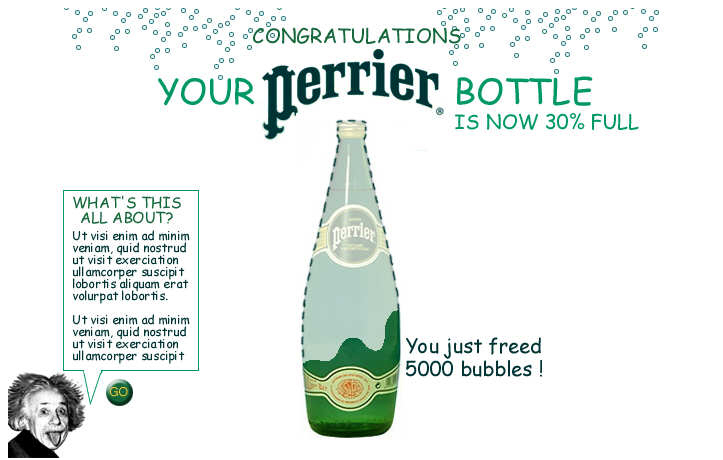 To mark the millennium, I designed a web-based CRM programme for Perrier’s bubbly mineral water. Rather than a website, the concept extended across multiple media sites – giving people the opportunity to collect bubbles by rolling over and clicking pup-up ads. The programme remembered each user, and prompted them to offer more information at strategic points in the programme – asking them to deepen the relationship only when they felt engaged. Completely self-driven, each user was drawn deeper into the programme as he/she built up bubbles towards the magic billion and prizes. 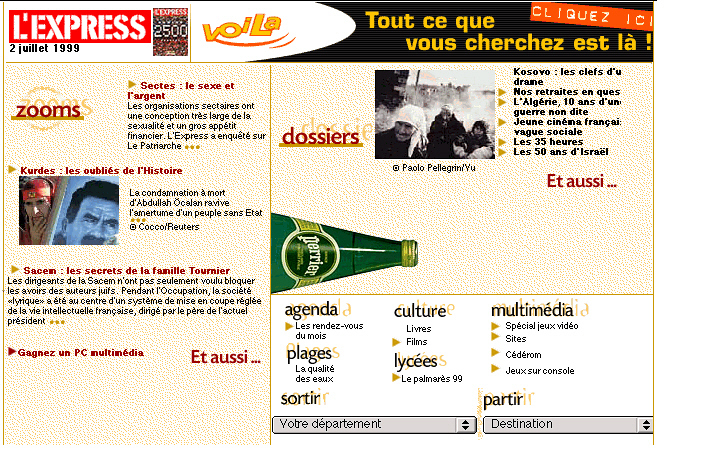 Scattered around media sites were hidden rollovers – like this Perrier bottle. If clicked, it led to the sitelet. The initial reward was a big ‘win’ of bubbles the user has ‘liberated’ from the web. The user was then asked to click over to the competition page. 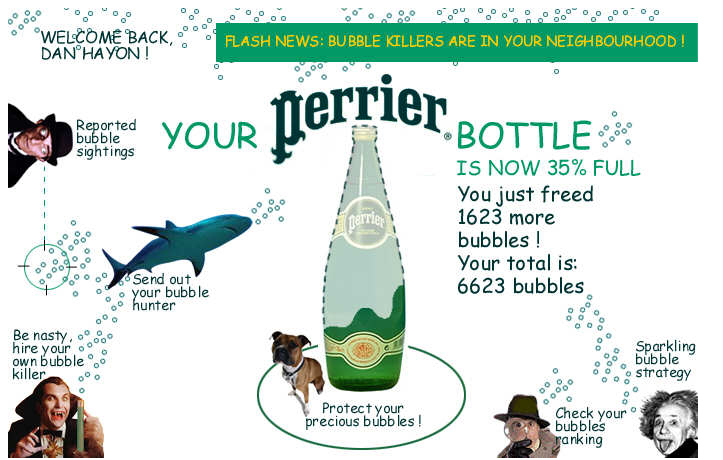 As the user got further into the programme – winning bubbles after ‘finding’ them across the web, keeping them safe from ‘bubble killers’, and so on – they were invited to complete email, name, and address details, turning their relationship with Perrier from faceless stranger to known advocate.